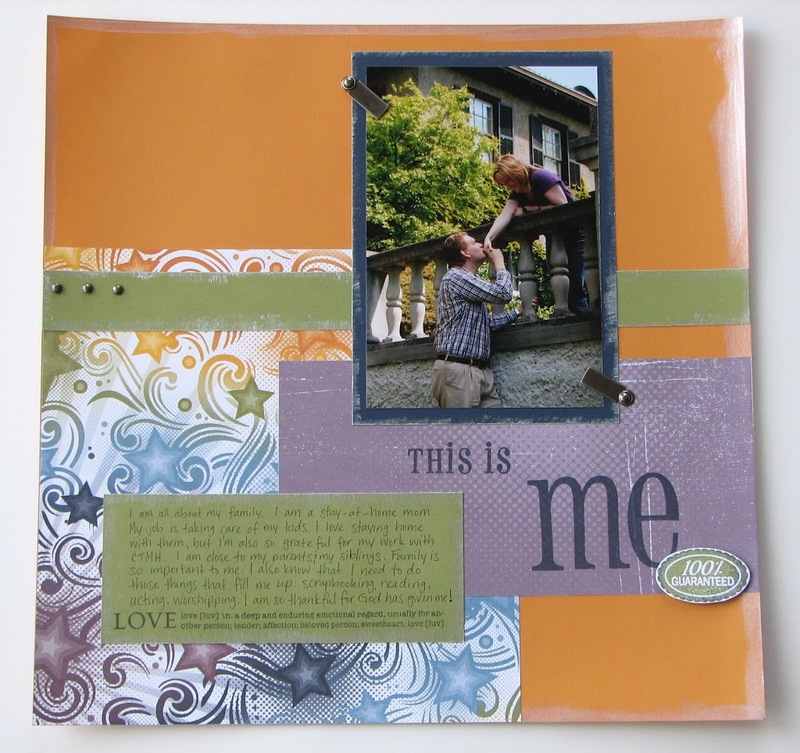 I don’t know about you, but I always have a hard time scrapbooking myself. I’m usually the one behind the camera and I don’t always like the way I look in photos. But I also know it’s important to put myself in my scrapbooks. 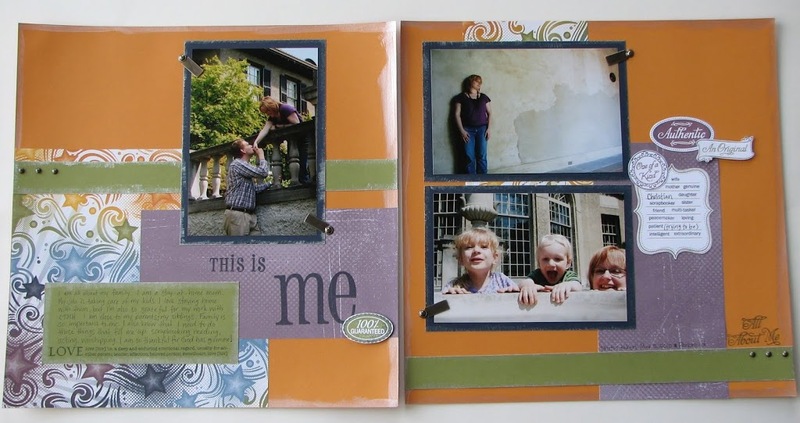 When the kids are older and their kids are looking at my scrapbooks, they will want to see me in them, to learn more about my life, my thoughts, my feelings. I often wish I knew that stuff about my grandparents, especially since they have all gone on to heaven. So, I gave my club members a challenge. We completed the following layout at our May club night. Their job was to complete the layout, with photos and journaling by June’s club night. Then they were entered into a draw for their favourite new Stamp-of-the-Month from the current Summer Idea Book. I wish I had taken photos of their completed layouts because they turned out fabulously! We used the Authentic stamp set, which I’ve been wanting to use for a long while. I love the words. Making my club members stamp these things, like “One of a kind”, “An Original”, and “Authentic” were my way of telling them that they need to think of themselves in those ways… and so do I. We also used the You Rock Level 2 paper pack, focusing on the Smokey Plum side of the one pattern. The shiny stuff that you see on the edges of the layout and the other cardstock pieces is CTMH’s Pearl Paint, just brushed on with a paint brush. I’m not totally pleased with my written journaling part. I might still change what I wrote. But I do love the photos. Our friend, Judy, who is a great photographer and happens to live with us, accompanied us to Parkwood one morning. We took all kinds of photos, enough great ones that my June Club layout was done with them as well! But you’ll have to wait to see that one. I hope to have it posted soon. In the mean time, check out my website for some great deals in our Jackpot June promotion! Just click on the icon on the top right of my blog. I love your use of color! Great job! What a fabulous layout! 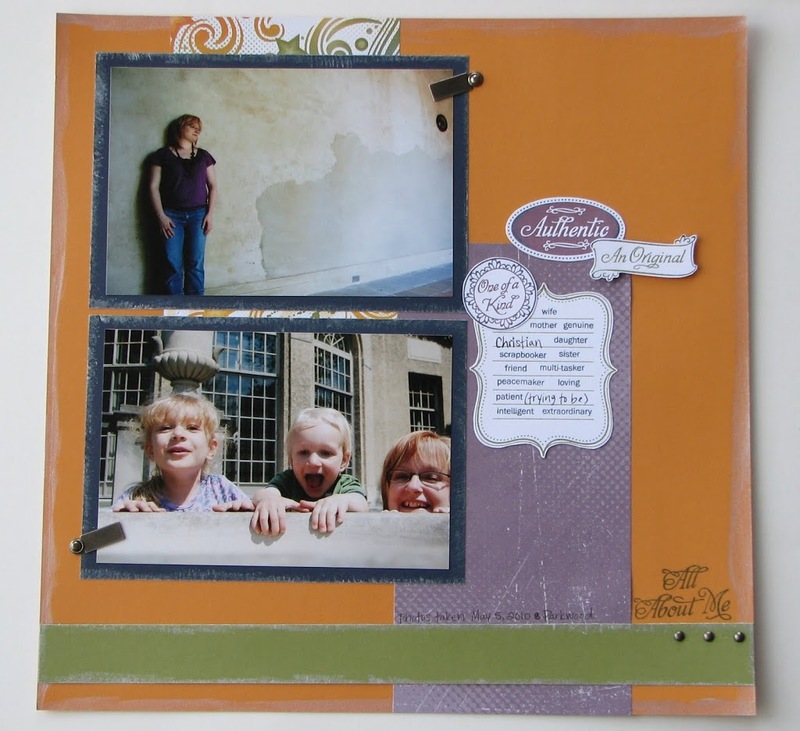 You are right, it is so important to include ourselves in our scrapbooks. 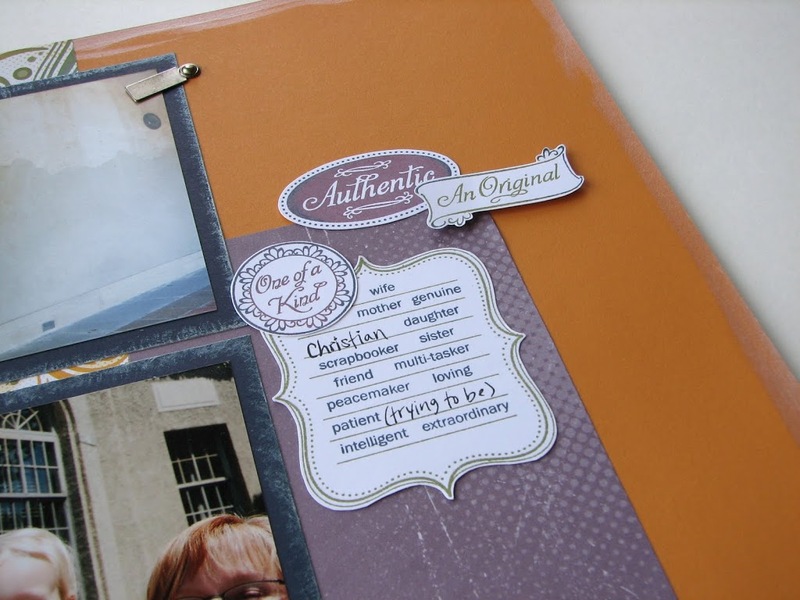 I really love how you combined stamped and handwritten journaling. Our handwriting is something else that many of us don’t like (myself included) but that should be preserved in the pages of our books.